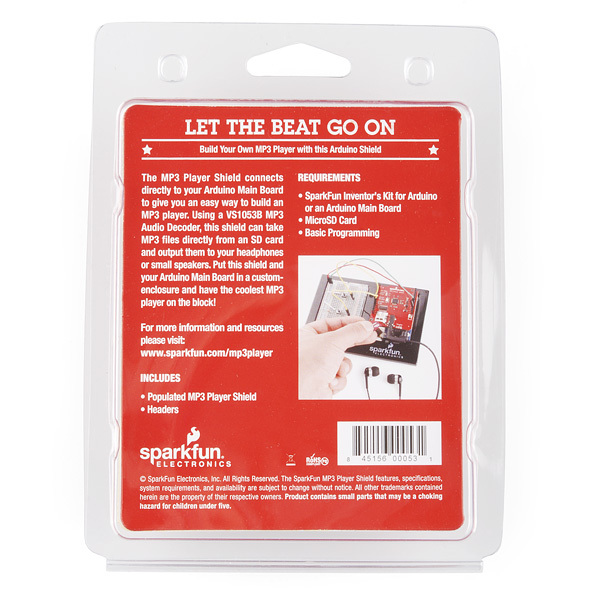 Give your Arduino some musical chops! 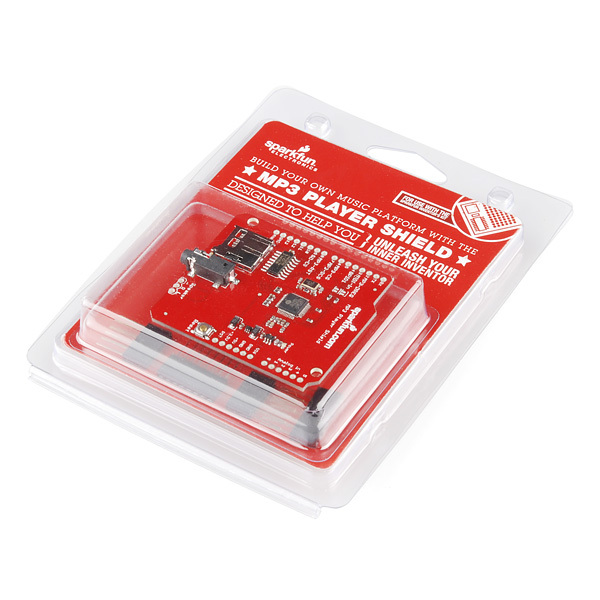 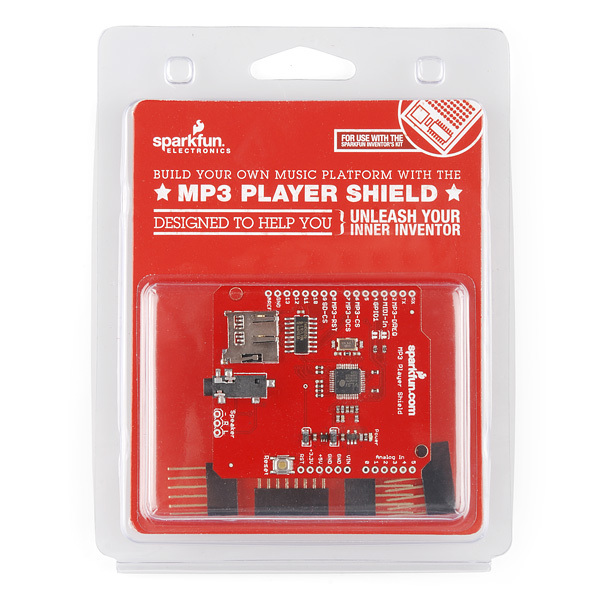 The MP3 player shield unleashes the awesome MP3 decoding abilities of the VS1053B MP3 audio decoder IC to play MP3 files from an SD card, effectively turning any Arduino into a fully functional stand-alone MP3 player! 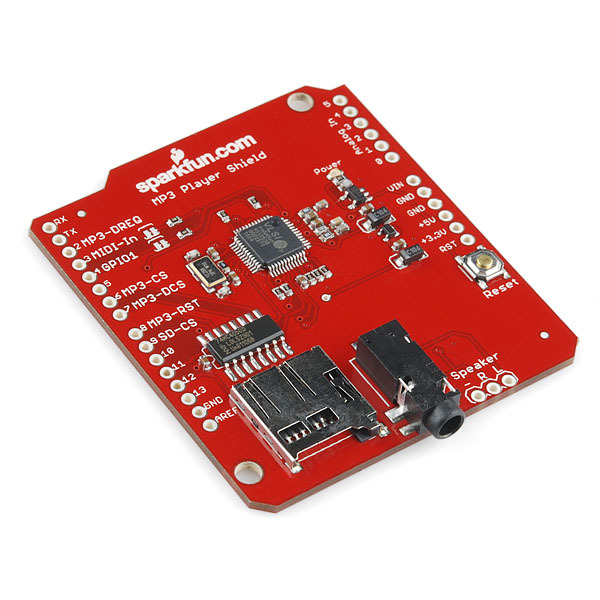 The VS1053 is also capable of decoding Ogg Vorbis/MP3/AAC/WMA/MIDI audio and encoding IMA ADPCM and user-loadable Ogg Vorbis. 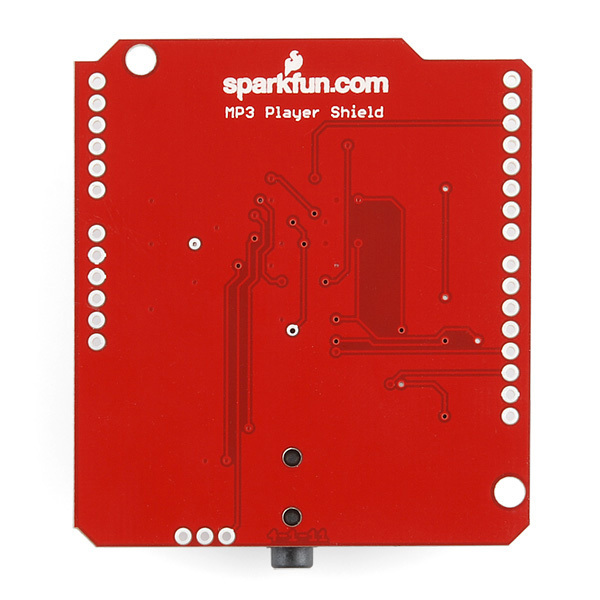 The audio is sent out to both a 3.5mm stereo headphone jack, as well as a 2-pin 0.1" pitch header.